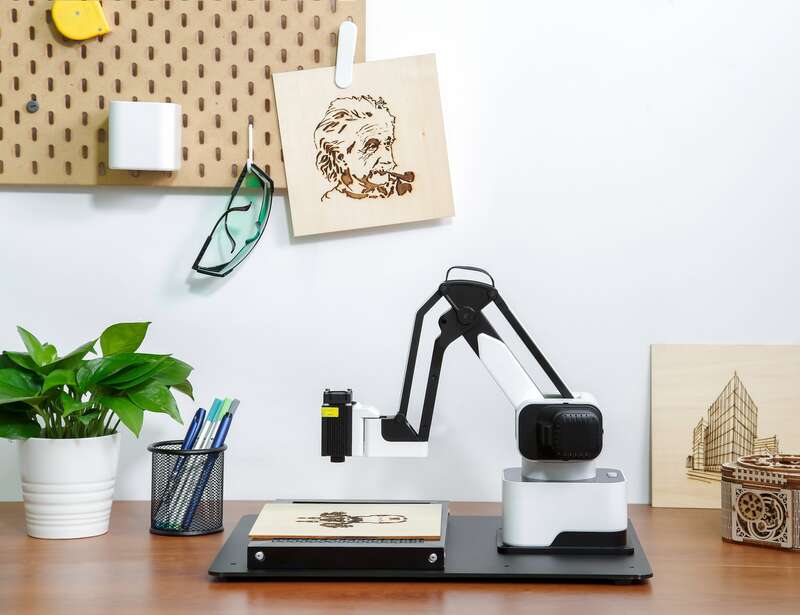 Transform any desktop into a workshop with the Hexbot Versatile Desktop Robot Arm, which makes it easy to draw, 3D print and laser engrave. 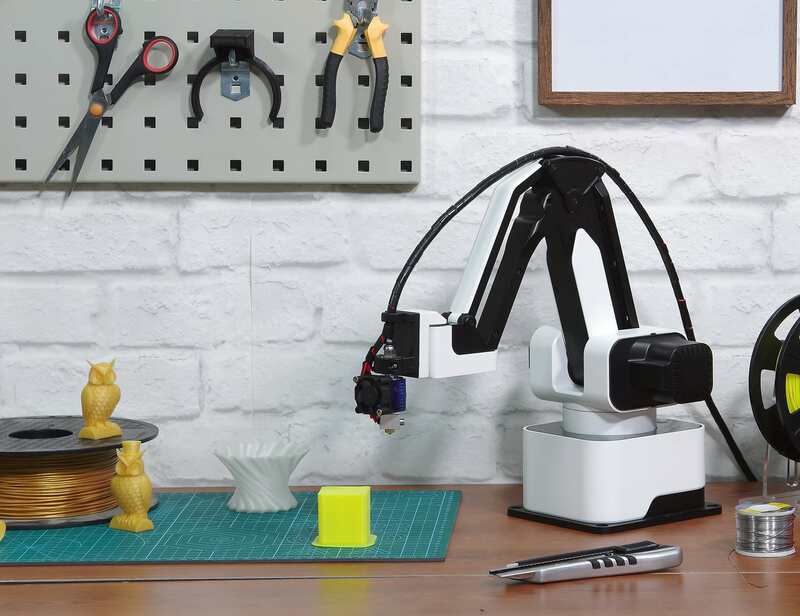 Transform any desktop into a workshop with the Hexbot Versatile Desktop Robot Arm. 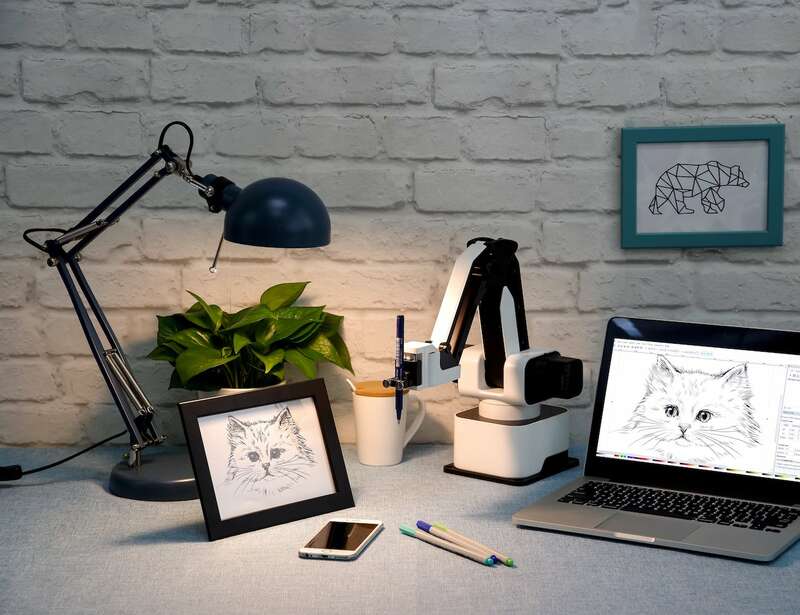 This all-in-one device makes it easy for you to draw, 3D print and laser engrave on your existing work desk. 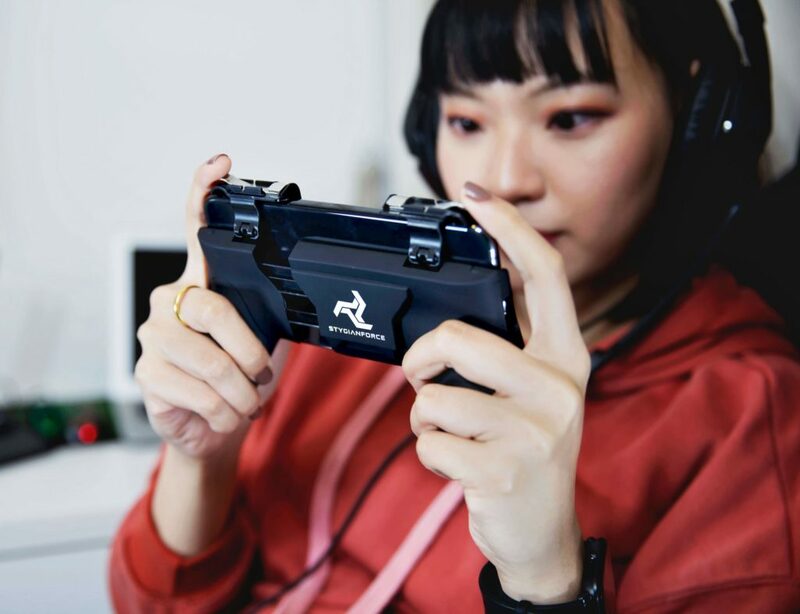 Made for designers, makers and other types of creators, Hexbot has a 0.05mm high repeatability. 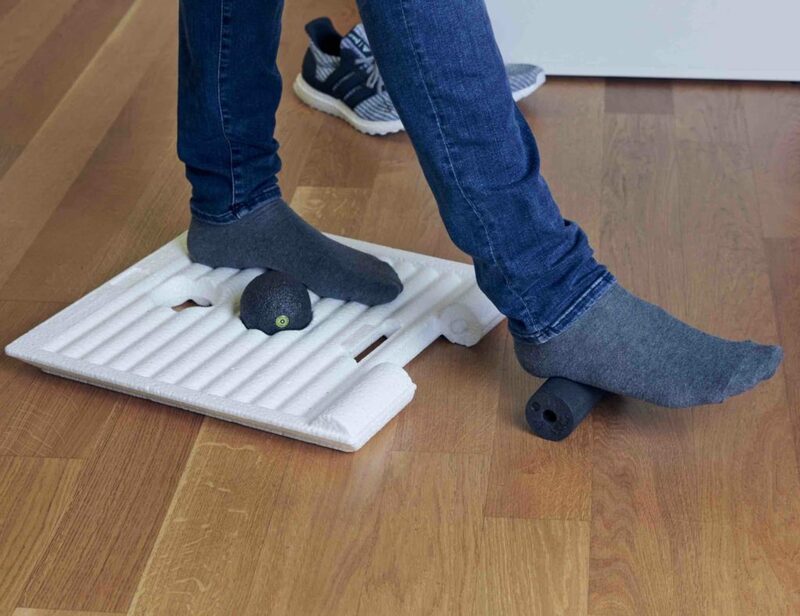 Featuring a patented decelerator, Hexbot decreases the gap between gears. 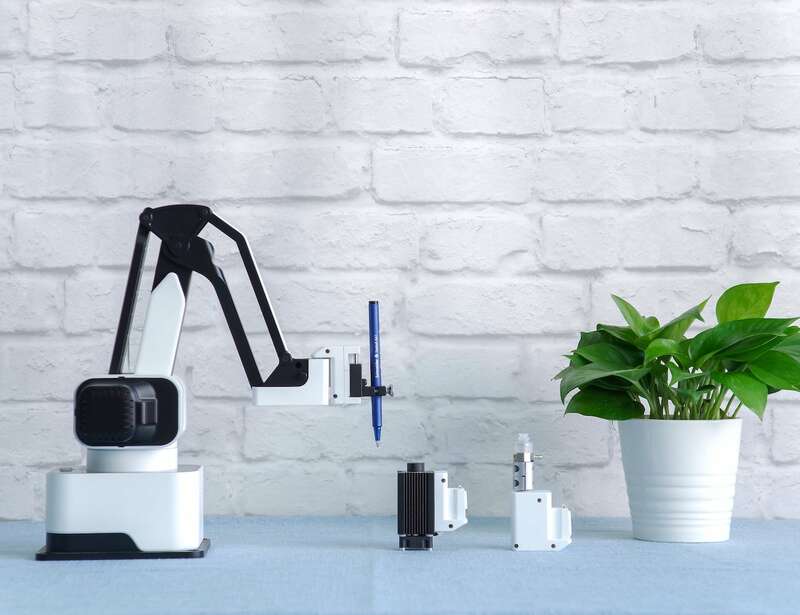 Thanks to its functional modular design, the versatile desktop robotic arm easily completes any task. Similarly, there aren’t any unnecessary screws on the end effector and modules can be switched out in one simple click. Hexbot also provides five different end effectors including a laser engraver, pen holder, soft gripper, suction cup, and 3D printer. Moreover, the motor noise won’t disturb your naptime since it is only 37dB. To top it off, Hexbot can even play a game of chess with you.